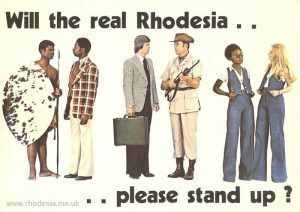 I came to Rhodesia from England five years ago, a decision that I have never regretted. 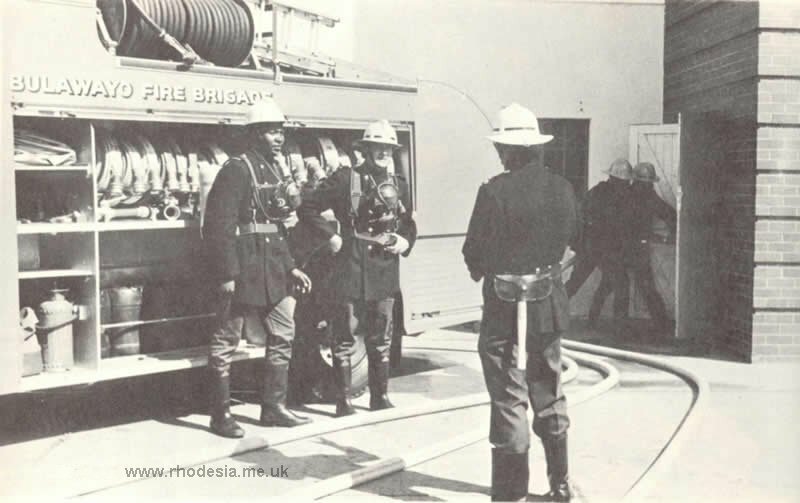 When I read about Rhodesia in overseas magazines and newspapers I am amazed and often horrified at what they contain. I find it extremely difficult to believe that I am living in the country that they describe. So, to put the record straight, here is the Real Rhodesia. Not horrific, sensational or spectacular, but just a few scenes from everyday life in our towns and cities. We do have our problems, who hasn’t? But we meet them head on and solve them, all races working together. This book from end to end is mine, my photographs, my design and my words. I challenge anybody, anywhere, to disprove any single fact or photograph. THE REAL RHODESIA IS … SWINGING. 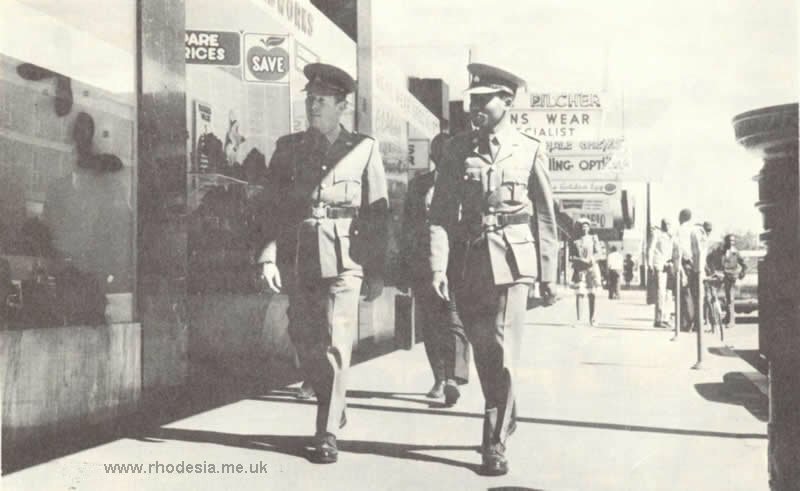 THE REAL RHODESIA IS … POLICEMEN ON THE BEAT. ERROL KUMIN AND BOYATI NGWENYA ON FOOT PATROL. RHODESIAN POLICEMEN, LIKE THEIR BRITISH COUNTERPARTS, DO NOT CARRY GUNS. THE REAL RHODESIA IS … JET AGE. 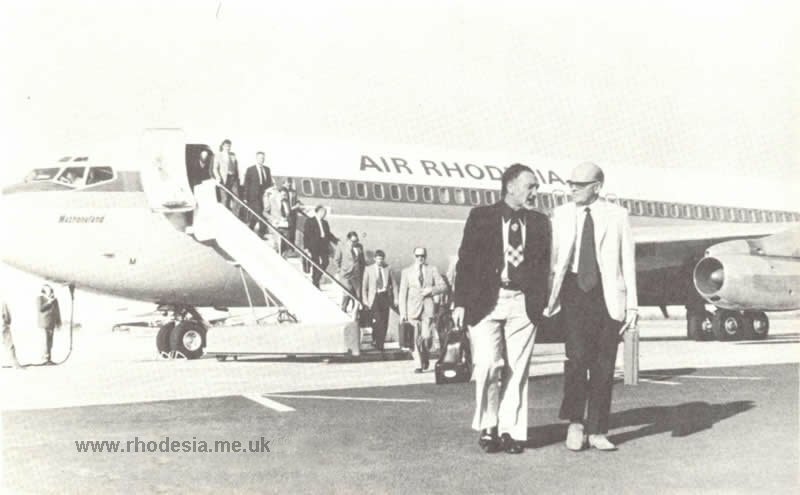 PASSENGERS DISEMBARK FROM AN AIR RHODESIA JET. 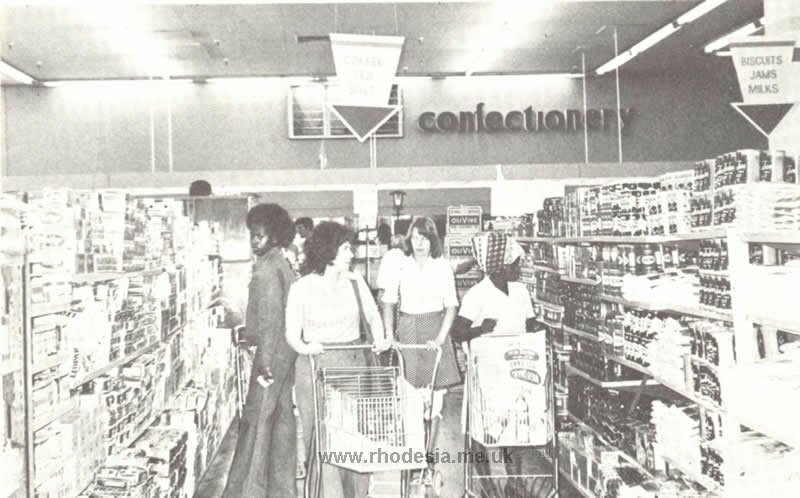 THE REAL RHODESIA IS … A WELL-STOCKED SUPERMARKET. ALL ARTICLES REQUIRED FOR EVERYDAY USE ARE NOW MANUFACTURED IN RHODESIA AND ARE ACKNOWLEDGED TO BE OF INTERNATIONAL STANDARD. 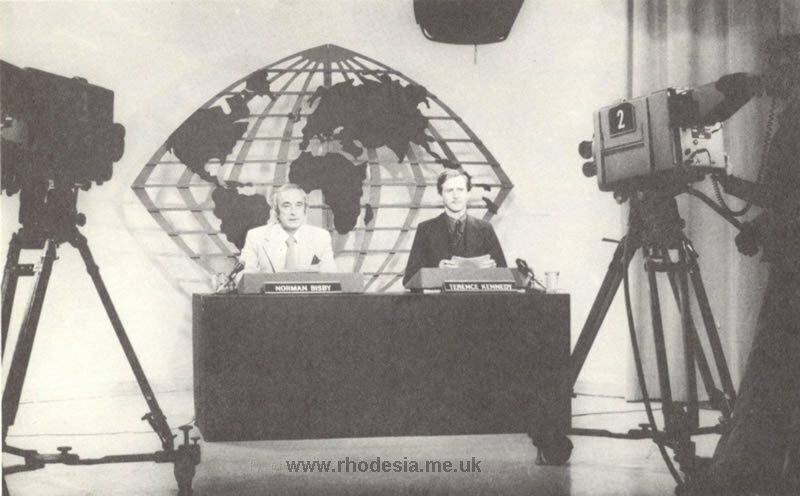 THE REAL RHODESIA IS … TELEVISION. 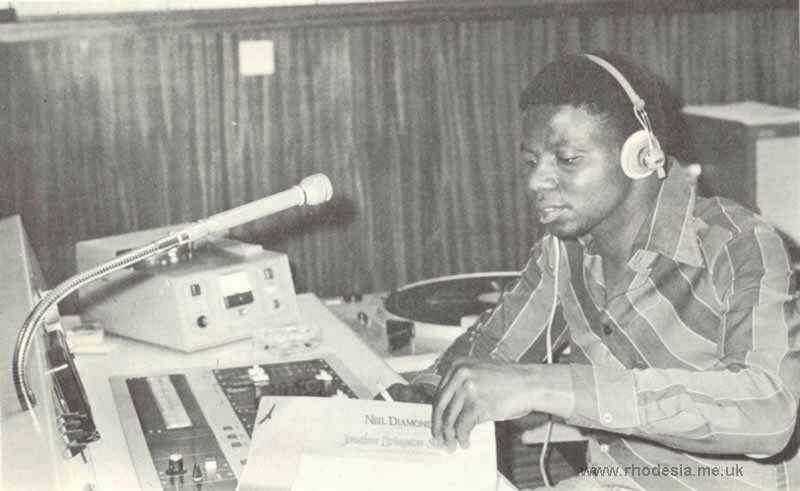 ON RHODESIA TELEVISION’S EVENING NEWS BULLETIN. 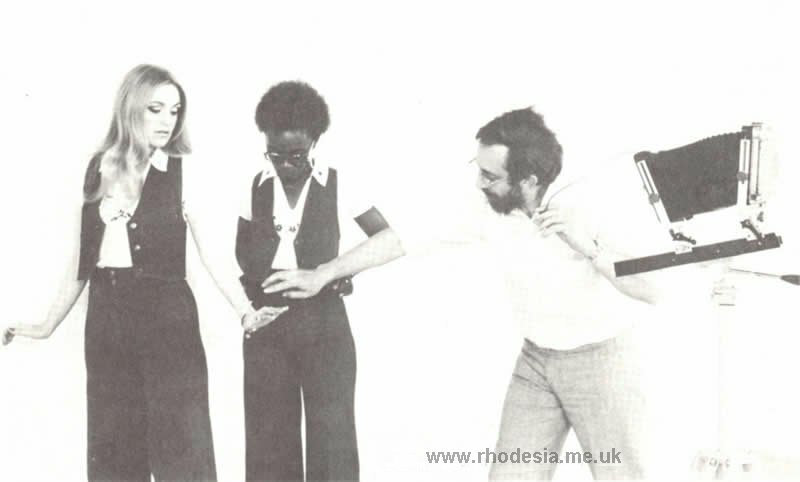 THE REAL RHODESIA IS … FASHIONABLE. MODELS JACKIE AND JOSEY POSE FOR PHOTOGRAPHER TERY BLACKMORE. 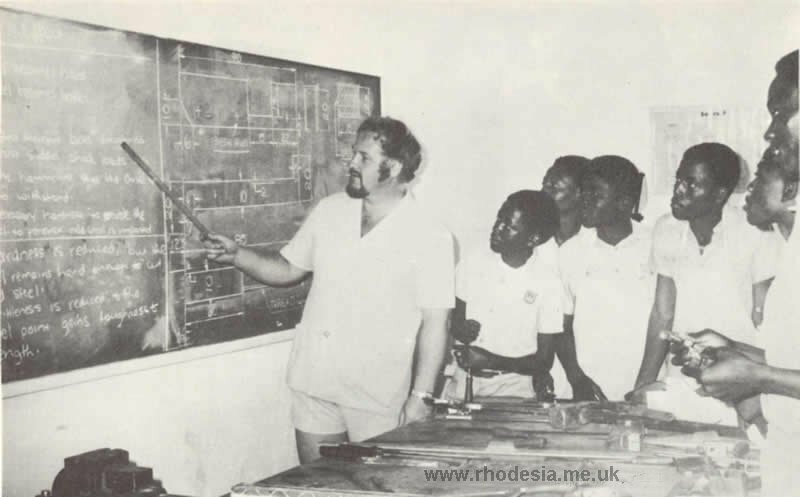 THE REAL RHODESIA IS … A GOVERNMENT TRAINING SCHOOL PREPARING PUPILS FOR APPRENTICESHIPS. THE RHODESIAN GOVERNMENT’S SECOND LARGEST BUDGET EXPENDITURE IS SPENT ON AFRICAN EDUCATION. 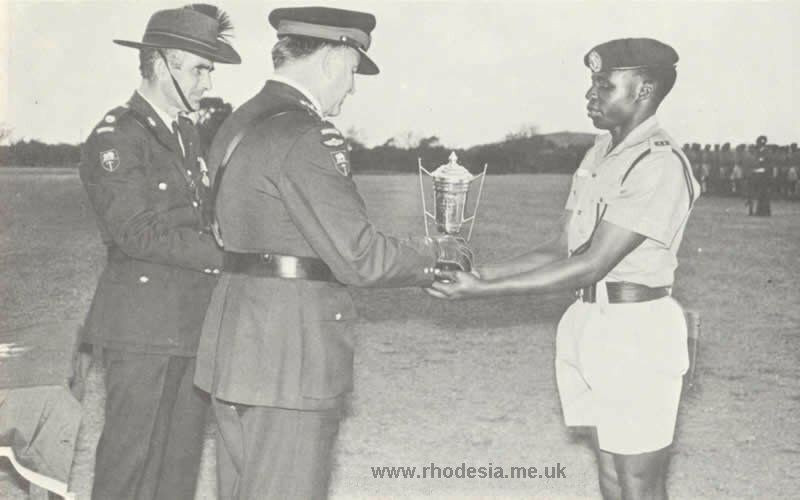 THE REAL RHODESIA IS … A PRIZE WINNING RECRUIT. 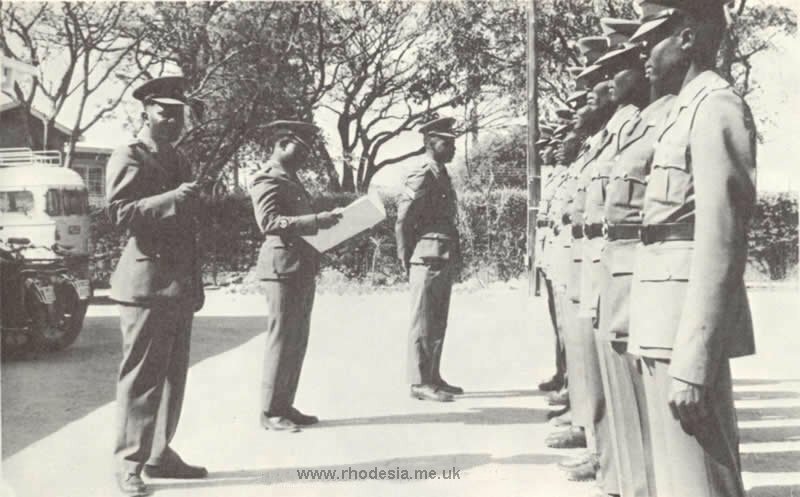 OF 1 117 VOLUNTEERS FOR A CAREER IN THE RHODESIAN ARMY ONLY 250 RECRUITS WERE ACCEPTED FOR TRAINING. JOHN CHANYANGANA WAS JUDGED “BEST RECRUIT”. MEN OF ALL RACES FIGHTING SIDE BY SIDE TO COUNTER A TERRORIST THREAT SINCE 1962. 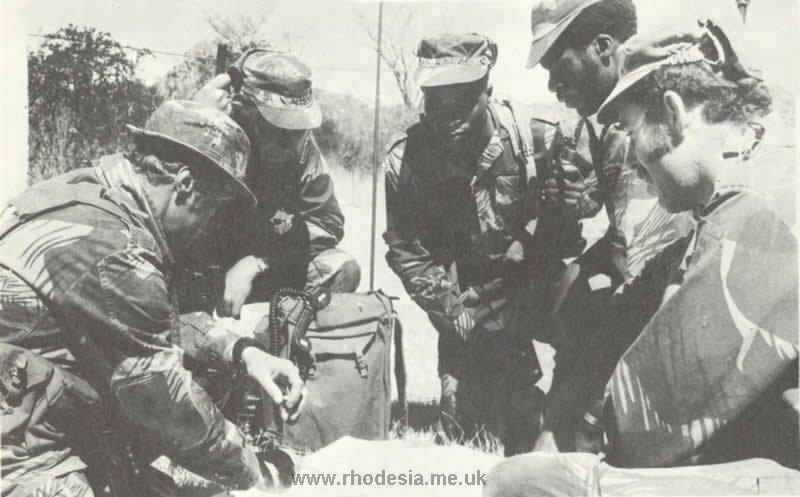 RHODESIAN ARMED FORCES ARE NOW RECOGNISED AS THE FINEST ANTI-TERRORIST FIGHTERS IN THE WORLD. POLICEMEN PARADING FOR DUTY UNDER THEIR STATION COMMANDER, CORNELIUS KUPUKAI. 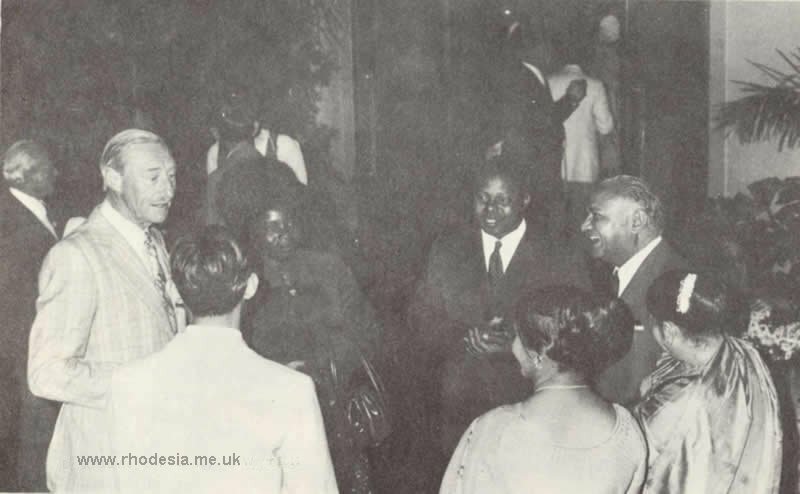 A COCKTAIL PARTY GIVEN BY THE MAYOR OF BULAWAYO AT THE CITY HALL. 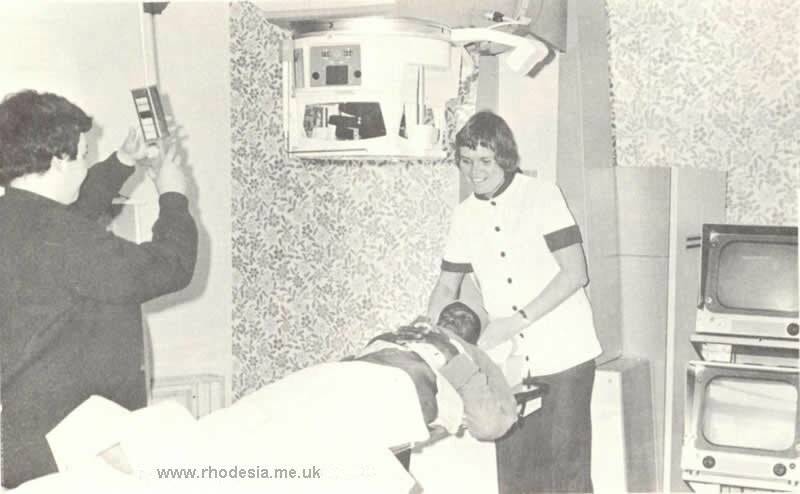 THE REAL RHODESIA IS … CARING. A PATIENT RECEIVES RADIO THERAPY TREATMENT AT A GOVERNMENT HOSPITAL. 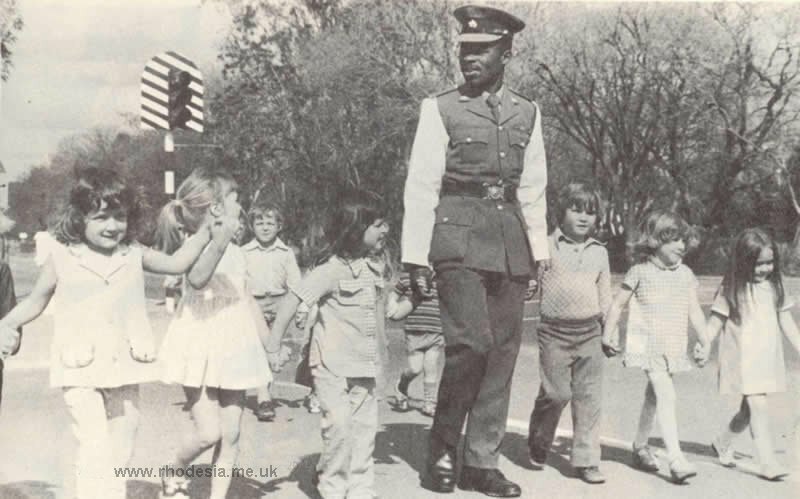 THE REAL RHODESIA IS … A SCHOOL CROSSING. TRAFFIC POLICEMAN RODGERS MKANDAWIRE SEES INFANT SCHOOL CHILDREN SAFELY ACCROSS THE ROAD. The above were taken from a booklet designed and photographed by Richard Woodcroft of Belmont, Bulawayo.